Flora and fauna: Pale-browed Tinamou, White-tailed Jay, King Vulture, Cedro, Guayacán, Aguacatillo, Ceibo. Fundación de Conservación Jocotoco built a lodge in 2008 in the Jorupe Reserve to receive visitors and encourage educational activities in the area. 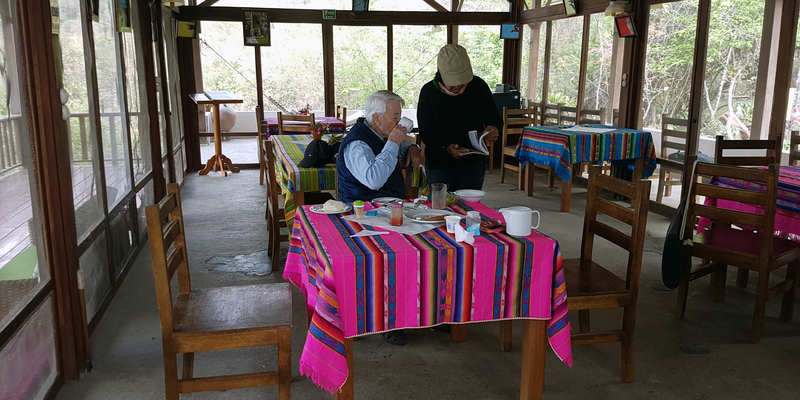 Virtually all the endemic birds can be observed in the trails inside or close to the lodge. In addition, there is a vast system of trails that cross several habitats. The Jorupe Reserve protects an important remnant of Tumbesian Dry Forest. In this region there is one of the highest global concentrations of endemic species and species with restricted geographical distribution, many of these in serious danger of extinction. 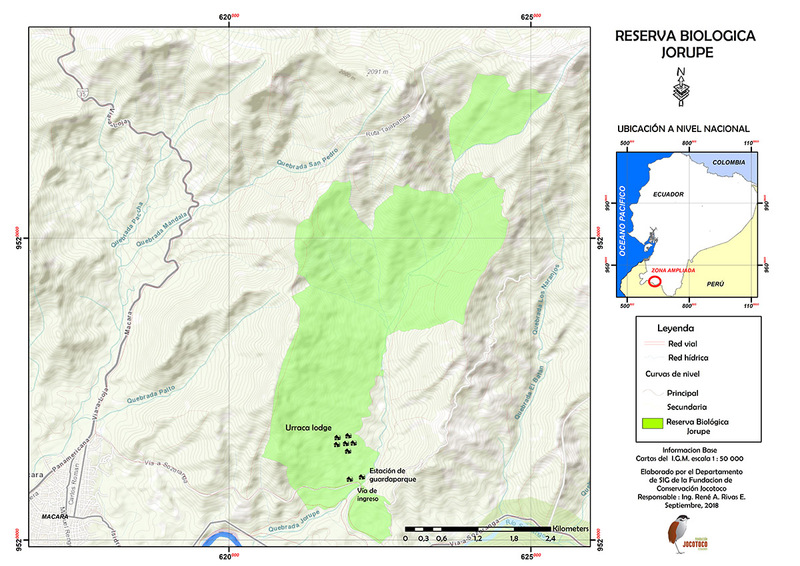 The reserve covers a total of 50% of the Jorupe river basin. At the top of this basin is the Jatumpamba mountain range, declared a Protected Forest by the Ecuadorian Government. 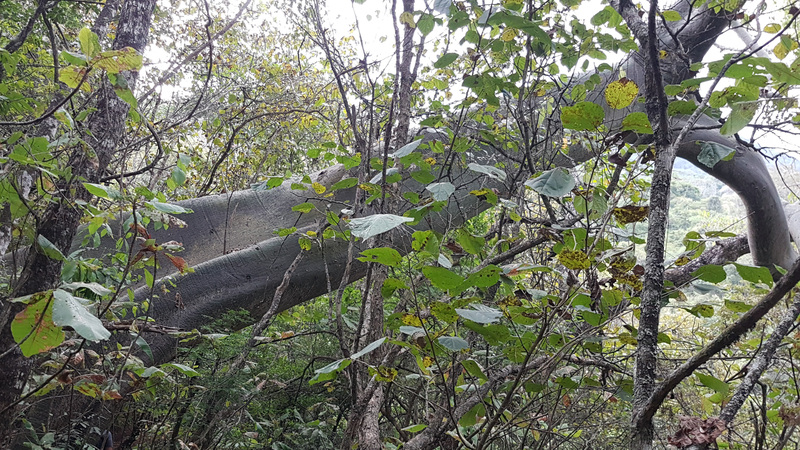 Although the structure of the forest, in which the Ceibo trees predominate, remains almost intact, the majority of fine wood trees disappeared during the last century, especially in lower areas. Jocotoco is working on the reforestation of land previously devoted to pasture and on the restoration of forest species in the areas. From the city of Macará: Head North out of the city, and shortly after take a road going East, in the direction of Sozoranga. The reserve starts in about 10 km; the entrance to the lodge is 2 km further away. If the door is closed, Alex Arellano (reserve park ranger) and his family can help, as they live close by. The hours of service for the visit of trails are from 07h00 to 15h30. In this zone, dry Tumbesian forests extend from southern Ecuador (Loja) almost to the city of Lima, Peru. The vegetation in this region is very diverse, with a large number of special habitats. These include arid scrub, deserts, deciduous tropical forest and premontane deciduous forest, whose distribution depends on altitude, humidity and rainfall. The site where the Jorupe Reserve is located is an area with the most extensive remnants of forest in the region still in good condition. The reserve covers an important altitudinal gradient. For this reason, Jorupe is home to a large number of threatened or restricted-range species. The reserve includes abandoned pastureland with good potential to be reforested and to bridge important habitat patches. In Jorupe, almost 190 species of birds have been registered, including almost all the endemic species of Tumbesian dry forests that can be found in Ecuador. These endemic species include 15 globally threatened species. Jorupe is also an excellent place to observe the KingVulture. Fundación Jocotoco built the hotel "Urraca Lodge" in order to encourage visitors to join educational activities. Guayacanes sighting 45 minutes from the reserve (they bloom in mid-January). You want to visit the reserve Jorupe?